Our first and returning customers are our most valued assets. In order to make the experience of working with us more enjoyable and fulfilling we run regular discount programs on the site for the benefit of our customers. We believe in the policy of getting you a superbly done paper while at the same time saving your money. The best part about it is that the more you order the more money you save! 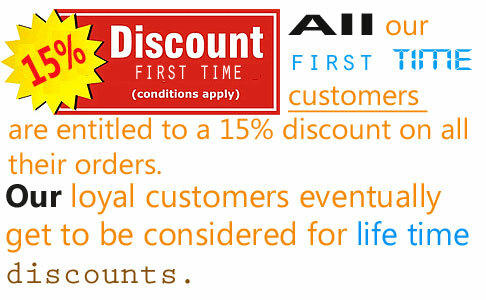 All our first time customers are entitled to a 15% discount on all their orders. Returning customers benefit from our various money saving discount schemes on the site which are based on the volume of work they order. Customers whose cumulative orders amount to 15 pages or more qualify for an award of 5% discount on the order. Those who place orders with a combined total of 50 pages and above are guaranteed a 10% discount on their orders while the customers with orders with pages amounting to 101 and above are eligible for a 15% discount on their orders. Our loyal customers eventually get to be considered for life-time discounts. The company reserves the right to decide who gets to qualify for such an offer at any time during our working period. Please note that these rates are subject to variations depending on the prevailing market conditions.